My fascination with Egypt began in childhood and since then, I have had the great pleasure of participating in archaeological projects in the regions of the Fayyum (on prehistoric sites) and in the Nile Delta. With the kind permission of the Supreme Council for Antiquities, I have had the privilege of directing several seasons of archaeological work and conservation studies in the Valley of the Kings near Luxor in the south of Egypt. The main focus of my work in the Valley has been in the examination of several undecorated tombs (Tomb No. 's 21, 27, 28, 44, 45, 48 and 60) found in this royal cemetery of Egypt's New Kingdom (c. 1550 - 1070 B.C.). Lying amongst the large and often elaborately decorated tombs of the pharaohs, many of these typically smaller tombs remained virtually unstudied by their early discoverers who generally found them uninteresting. The work of the Pacific Lutheran University Valley of the Kings Expedition, however, proved that these long ignored monuments were very worthy of investigation. Tomb 60 was particularly provocative. Robbed in antiquity, it was discovered at the turn of the century, found to be of limited interest, reburied, and its location subsequently lost. We managed to rediscover this long lost tomb on our very first day of work! The damaged contents of this crudely carved tomb were splendidly preserved and included funerary food provisions, broken bits of burial equipment, the remains of a shattered gilded coffin and a female mummy. This mummy, that of an older individual, was embalmed in what is believed to the pose of a royal female: the left arm bent at the elbow, forearm diagonally across the chest, left hand clenched and the right arm straight alongside the body. Although there has been much, often inappropriate, speculation, the specific identity of this mummy has not been determined. Tomb 21 was originally discovered by Giovanni Belzoni in 1817. This large and undecorated tomb was found to contain the remains of two female mummies along with funerary equipment. The tomb remained open for perhaps a decade until it was apparently buried deeply by flood-borne debris. A trench was carved down to the tomb entrance in the 1890's and this too was filled into the point where there was little trace of its exact location. The tomb was quickly rediscovered with the skillful use of a trowel although it took us many days to excavate down to the entrance. Inside, we found evidence that the tomb and its contents had been damaged by flooding. Belzoni's mummies were found vandalized and broken into pieces. When rearticulated, however, we found that the two mummies appear to be striking the same royal female pose as the mummy in Tomb 60! Tombs 28, 44 and 45 each consist of a single room entered from a shaft. Although these simple tombs had all been previously examined, many artifacts (ushabtis, coffin fragments, etc.) were found within. Between the three of them, we also found the remains of over a dozen individuals. Tomb 27 has only been partially excavated. When we first investigated this tomb, we found that most of its chambers were nearly encumbered to the ceiling with flood debris. This tomb serves as an excellent example of one of the Valley's most serious conservation issues: although situated in an environment that normally appears arid in the extreme, perhaps the worst enemy of the royal necropolis is water. Rain-induced flash floods drain violently through the natural channel of the Valley, threatening tombs with water, mud and stony debris. Our expedition dedicated a special study season to address these questions and we are pleased that the Supreme Council of Antiquities and others are continuing similar practical efforts for the long-term preservation of these monuments. For additional information on our work in the Valley of the Kings, see the Bibliography below. The crudely carved stairs of Tomb 60. The mummy of Tomb 60 as found. A closer view of the mummy in Tomb 60. Examining the remains of badly damaged mummies in Tomb 21. A view up the stairs of Tomb 21. Small clay necropolis seals from Tomb 21. All photos copyright Donald P. Ryan and Valley of the Kings Project. 2015     "KV 60: Ein rätselhaftes Grab im Tal der Könige." In, Michael Höveler-Müller. ed.,Das Hatshepsut-Puzzle, (Nünnerich-Asmus) pp.87-96. 2010     "The Pacific Lutheran University Valley of the Kings Project: Work conducted during the 2007 Field Season." Annales du Service des Antiquités de l'Égypte 84:383-388. 2010      Beneath the Sands of Egypt, (Harper/Collins). 2010     "Five Field Seasons in the Royal Necropolis: The Second Phase of the Pacific Lutheran University Valley of the Kings Project." 2007     "The Pacific Lutheran University Valley of the Kings Project: Work conducted during the 2006 Field Season." Annales du Service des Antiquités de l'Égypte 81:357-361. 2007     "The Pacific Lutheran University Valley of the Kings Project: Work conducted during the 2005 Field Season." Annales du Service des Antiquités de l'Égypte 81:345-356-361. 2004     "Exploring the Valley of the Kings." In, Secrets of Ancient Egypt, (Hatherleigh Press). pp.117-125. Cahiers de la Ceramique Égyptienne 6:11-26. 1995     "Further observations concerning the Valley of the Kings." In, Valley of the Sun Kings, ed. by R. Wilkinson, (University of Arizona). In, Valley of the Sun Kings, ed. by R. Wilkinson (University of Airzona). (International Institute for the Study of  Man). 1994     "Exploring the Valley of the Kings." Archaeology 47(1):52-59. 1994     "Exploring the Valley of the Kings." Calliope Sept. pp.36-40. 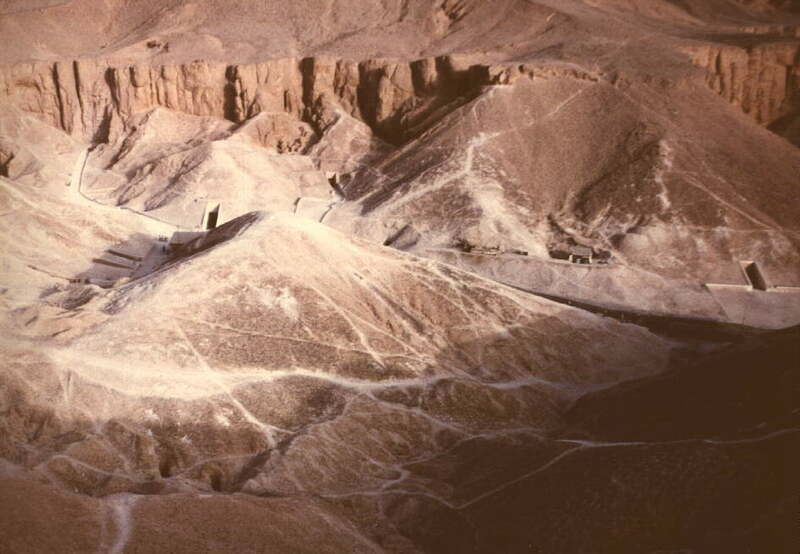 1992     "Some observations concerning uninscribed tombs in the Valley of the Kings." In, After Tutankhamun, ed. by C N Reeves, (Kegan Paul). 1992     "The Valley Again. "KMT 3(1):44-47, 69. 1991     "Return to Wadi Biban el Moluk: The Second Field Season of the Valley of the Kings Project. 1990     "Who is buried in KV 60?" KMT  1(1):34-39, 58-59, 63. 1989     "The Pacific Lutheran University Valley of the Kings Project: A Synopsis of the First (1989) Season." Newsletter of the American Research Center in Egypt. 146:8-10. "Preliminary Report of the Pacific Lutheran University Valley of the Kings Project." Brier, Bob, 1998, The Encyclopedia of Mummies. C.N. Reeves and R. H. Wilkinson, 1996, The Complete Valley of the Kings. Joyce Tyldesley, 1996, Hatchepsut: the female pharaoh. Time/Life Books, 1993, Egypt: Land of the Pharaohs. T.G.H. James, 1992, Howard Carter: the path to Tutankhamun. C.N. Reeves, 1990, Valley of the Kings. BBC-TV/A&E series, "The Face of Tutankhamun." Learning Channel Series: Archaeology. "Missing Mummies." Channel 4, UK, "Valley of the Kings." A&E: "Great Builders of Egypt." University of Memphis Egyptology .pdf's. Tomb of the Chihuahua Pharaohs!